November | 2011 | Who Cares About Customers? Buying a nice gift for a friend or family member doesn’t have to mean breaking the bank this Christmas. For quality items at deep discounts, sign up for Groupon. Groupon works with retailers in your area, as well as national businesses, to deliver special offers to your email inbox each day. After a certain number of members commit to the offer, Groupon displays a message saying, “The deal is on!” This means you can proceed with purchasing the item. You have a limited window of time to purchase the Groupon, and if quantities are limited, the deal may sell out early. You can buy Groupons for yourself and/or give them as gifts. Choose the gift option, and you can print out a gift certificate for the recipients or have one emailed to them. Groupons have expiration dates, so make sure you or the recipient use the deal by the deadline. Read the fine print to see if you need to make an appointment or reservation for your Groupon service. a paint-your-own pottery session for $12 (regular price: $25). $15 for $35 worth of apparel at a local boutique. $12 for an 18-inch pizza and two drinks at a local pizza chain. $24 for three lessons at a dance studio (a $130 value). In addition to local, daily deals, Groupon also sends out other offers for merchandise, vacations and services from regional and national businesses. For example, you could purchase a 16-inch by 20-inch photo reproduction on canvas online from a national vendor for $39 (a $125 value). You could also buy a one-night stay for six people at a Wisconsin water park lodge, including water park admission, a pizza meal and late checkout. The $298 value was priced at $149 and sold out. Not sure what your gift recipients want for Christmas? Give a Groupon gift card so they can select their own deals. When snagging Groupon deals, get the most bang for your buck by taking advantage of rewards programs that give you cash back or frequent flyer miles on your Groupon purchases. For example, Delta SkyMiles Shopping is currently offering 12 miles for every dollar spent at Groupon. Ebates is offering 6 percent cash back. Forget the old saying “a penny for your thoughts”—you can earn a lot more money than that by sharing your opinions with an online survey program called Valued Opinions. The concept is simple: take surveys, earn money. To get started, you create an account at Valued Opinions and answer a series of profile questions. These questions help the company know which target groups you fit into. When it receives a survey from one of its clients that matches your profile, you’ll receive an email inviting you to take the survey. You can earn $1 to $5 for each survey you complete, and credits for each survey you take are deposited into your Valued Opinions account. When you reach an account balance of at least $20, you can redeem your earnings for gift cards. Reward options include online and offline cards from Visa, Macy’s, Marriott and other companies. Each survey invitation you receive tells you how much you can earn for that particular survey and how long it will take you to complete the questionnaire. Surveys often contain some initial screening questions to verify that you match the profile the company conducting the survey is looking for. If you don’t, your survey will end early and you won’t earn any credit for the few minutes you spent answering those first few questions. One downside of Valued Opinions for me is many surveys include income information as a mandatory question, and “prefer not to answer” is not an option in those surveys. I refuse to provide surveyors with my household income. I understand they want it for demographic research, but I feel it is private and will not share it. In these cases, I abandon the survey, knowing that I won’t earn any credit for the work I’ve put in answering all the questions preceding the financial one. This can be frustrating when surveys save the financial question until the end. I also declined to enter financial information into the profile for my Valued Opinions account. Despite the frustrations of financial questions, if you have some time to spare and could use a few extra bucks, Valued Opinions offers a simple way to earn money online. 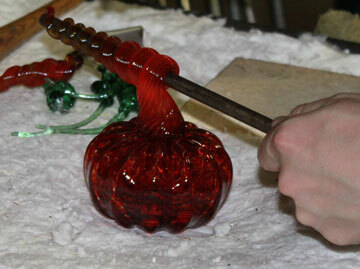 This past weekend, my mom and I got to create beautiful, blown-glass pumpkins at a local glass gallery. Selecting the colors for our creation, observing its formation, and blowing air into the glass to round out its shape made for a fun morning. It’s an experience I probably would have missed if I would have had to pay full price for my pumpkin. Instead, I purchased my voucher and my mom’s at half price, thanks to Living Social. Living Social is a website which partners with businesses in many cities to offer discounted experiences at restaurants, hotels, theaters, spas and other venues. By signing up on the Living Social site for your area, you receive daily emails alerting you to the featured deal. If you want it, click the “buy now” button and follow the steps to complete your purchase. Living Social accepts all major credit cards. You can usually buy one item for yourself and another to give as a gift. Within a day or so, Living Social emails you a voucher for the service or discount deal you purchased. You take the voucher with you when going to the business to enjoy your deal. In some cases, you may need to call ahead and schedule a specific time to use the voucher—such was the case with our glass class. As Christmas and other seasonal holidays approach, Living Social offers you a great way to give unique gifts to friends and family at sizeable discounts. You can have the gift voucher emailed to the recipient, or you can print it out and give it to her yourself. Your gift voucher won’t show the recipient how much you paid for the deal. What if you buy a voucher but don’t have time to use it? In most cases, deals are fully transferrable, so you can give it to someone else to use. Read the fine print to be sure. Living Social’s email service is free, and the company doesn’t send you spam, so sign up for their emails and watch the deals start rolling in. “Please make it stop”—that’s the subject line I used when emailing my Allstate agent this week. It referred to the barrage of telemarketing phone calls I’ve been receiving from my insurance company. I’ve only been an Allstate customer since July, and I’ve already asked the company twice to remove me from its telemarketing call list. My agent said she took my name off and even inputted a fake phone number for me into her system, but the calls keep coming. Sometimes there are “live” people trying to sell me an Allstate Motor Club subscription. Other times there are automated phone calls that I hang up on before I hear what service is for sale. And phone calls aren’t the only marketing method Allstate uses on its customers. I get letters in the mail trying to convince me to purchase life insurance. I get automated newsletters from my agent pitching various services. It’s worse than walking into a car dealership where five salespeople are milling around the showroom. It’s like I’m running past lions wearing a meat poncho. Once they’ve got you in their sights, they just keep pursuing. Maybe somewhere in some fine print I signed when establishing my automobile and homeowner’s policies, I unwittingly agreed to be targeted by Allstate’s marketing department. Here’s the thing—if I want more insurance, I’ll call and ask for a quote. I don’t want an email box cluttered with marketing messages or trees dying in the name of selling me additional insurance. And I sure don’t want telemarketers from a company I am paying already to call me. This week, I used a link provided in the emails to unsubscribe, so hopefully, those messages will stop. My agent said she found out about five additional tasks she has to complete to stop the phone calls—this sounds like a very inefficient way of protecting customer’s privacy and respecting their wishes. I sent her an email this morning to ask how I can end the U.S. mail solicitations. My advice to Allstate: take an opt-in approach to marketing. Ask customers to explicitly agree to receiving your sales pitches, or be thankful for their existing business with your company and leave them be. Your current approach is not a hallmark of quality customer service. Today, I’m continuing my series of posts on how you can earn frequent flyer miles with both feet on the ground. Previous posts focused on earning miles for reading product ads and for doing your shopping through a portal website. You can also earn miles for signing up for home and financial services. Like to watch movies? Both Delta Airlines and American Airlines reward you with 1,500 miles when you sign up for a new account with Netflix. If you’re planning to buy a new home, check out the United Mileage Plus offerings available through Chase bank. You can earn 12,500 to 50,000 miles, depending on the value of your new mortgage. Have some money to invest? You can receive 5,000 to 25,000 miles on US Airways, Delta, American or United for opening and funding a new account with TD Ameritrade. Satellite television customers can earn frequent flyer miles, too. American offers 7,500 miles to those enrolling in new DirectTV service. Those looking for homeowner’s or auto insurance can earn miles, too. Delta and US Airways frequent flyers earn 200 to 300 miles for getting a quote from 21st Century Auto Insurance and additional miles if they purchase a policy. Receive 500 miles in your American Airlines or Delta Account for getting a home or auto insurance quote from Liberty Mutual. Get a quote from Sentry Insurance, and you’ll earn 1,500 miles on Delta or US Airways. If you’re starting your own blog or website, you can earn 1,000 miles when purchasing a domain name through Network Solutions. This offer is available to those enrolled in American, United and Delta frequent flyer programs. Be sure to use the special link provided on your frequent flyer program’s webpage when taking advantages of these offers, and follow any instructions provided by the company. If you don’t, you may not be eligible to receive your bonus miles. On October 10, I got the phone call no homeowner wants to receive. It was from my real estate agent, frantically asking where the water shutoff valve is in the house we are trying to sell. What followed was a load of bad news. The water heater in the home had failed, sending a few inches of water throughout the entire finished basement. The water heater had apparently exploded, blowing a hole through the drywall. Water was running out the back doors of the walkout basement. Since the home is vacant and no one had been there in two days, the water could have been leaking out for as long as 45 hours. Soon after my phone call to a restoration company specializing in emergencies of this type, I called my State Farm agent. He filed a claim immediately, and I received a call that same morning from an adjuster at the national office who asked questions to get my claim rolling. That afternoon, the local adjuster assigned to my case called to arrange an inspection of the damage. He agreed to meet the restoration contractor at the home, so I wouldn’t have to make the hour-long drive to let him into the house. A couple of days later, my agent’s office called to make sure the claim was proceeding smoothly. The local adjuster handled the claim very fairly, even agreeing to pay for the increased electric usage at the home caused by all the industrial fans used to dry out the basement carpet. The national adjuster advised me that State Farm will also pay the hefty water bill we are likely to receive for the many hours the water heater was pumping out water. We received our first check from State Farm exactly three weeks after the incident took place, and it covered all the charges for mitigation and repairs. We have not yet received our water bill, so it’s too soon to report whether that part of the claim will go as smoothly. The insecure nature of e-mail is not a sound justification for failing to replying to messages electronically. To answer my question, State Farm would not have to release any personal information; they could just tell me when to expect a check. Or, the company could set up a secure website where customers could send and receive encrypted messages. Refusing to correspond with customers by e-mail is bad business. Interestingly, the local adjuster did correspond with me on other matters through e-mail. I never received any answer to the payment question I submitted by e-mail, not even via a letter in the mail or a phone call. Overall, though, I am quite pleased with the assistance I’ve received from State Farm. My home is now fully restored and ready for a buyer.